There are so many school moments that can be made better by adding a little laughter. 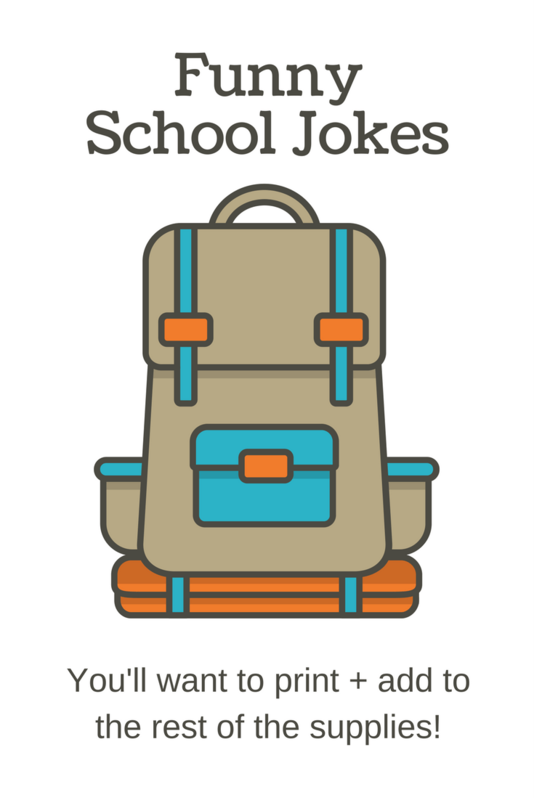 Whether your little ones are headed off to kindergarten or middle school, funny school jokes are great for relieving back to school anxiety. Math jokes for kids come in really handy on test day. And of course if you want to show your kids you’re thinking about them (without sending an embarrassing love note) adding a joke to the lunch box is perfect! Knock, knock. Who’s there? Pencil. Pencil who? Pencil fall down if you don’t wear a belt! How do you get straight A’s? – With a ruler. Knock, knock. Who’s there? A broken pencil. A broken pencil who? Oh never mind it’s pointless. Why are fish so clever? – Because they spend so much time in schools. What did one pencil say to the other pencil? – Man, you’re looking sharp. Which school building has the most stories? – The Library! Why did Jimmy’s grades drop after the holidays? – Because everything was marked down. Where did the music teacher leave her keys? – In the piano. What do librarians take with them when they go fishing? – Bookworms. What is a snake’s favorite subject? – Hiss-tory. What do you get when you throw a million books into the ocean? – A title wave. Why did the girl wear glasses during math class? – Because it improves di-vision. What is the smartest state? – Alabama, it has four A’s and one B. Why can’t you do a math test in the jungle? – There are too many cheetahs. What is the longest word in the dictionary? – Smiles, because there is a mile between each “s”. Add your favorite school jokes in the comment section. Ready to get the kids laughing? Enter your email address below and 15 printable School Jokes will be sent to you right away!